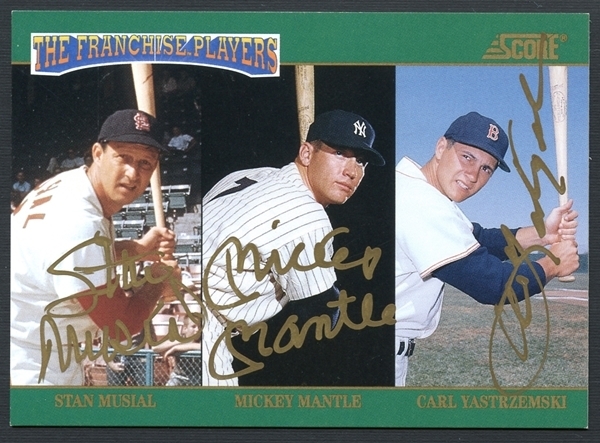 Three baseball legends on one limited edition, autographed card! 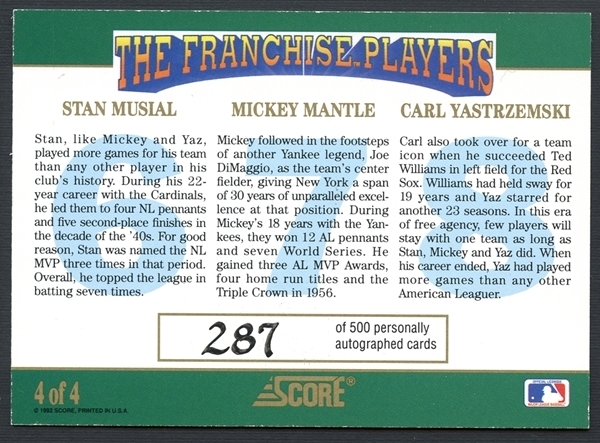 Numbered #287/500, New York Yankees legend Mickey Mantle is joined by Cooperstown residents Stan Musial and Carl Yastrzemski on this 1992 Score card, each making their mark with a sharp and clean gold marker signature. This NM/MT card is a wonderful addition to any advanced autograph collection.